I'm getting all green for St. Patricks Day. I have a new green shirt and even painted my nails green. Its a different look from the usual red and do not plan to get used to it. Im not a fan of the color green but its fun to celebrate St. Patricks Day. As the day approaches, I'll be adding more to the list. 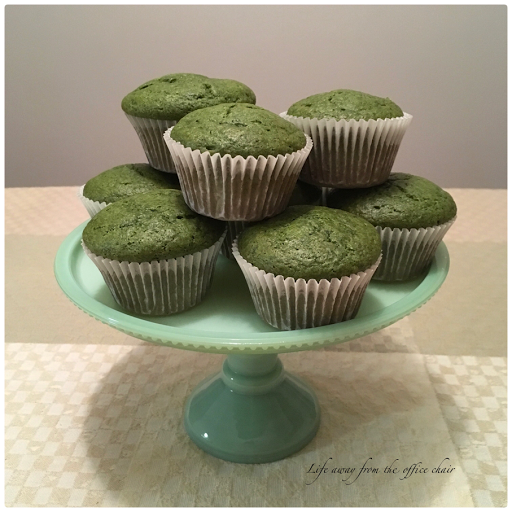 Last night I decided to make these green spinach banana muffins. They are so good! I guess they are healthy since they include a whole bag of spinach and a couple bananas in the mix. These muffins were delicious with the texture of a cupcake. The main flavor that tickled my tastebuds was the cinnamon. I really thought they would taste more like banana. The spinach? You would never know its in there. You can not taste the spinach at all. Know what that means? That means you can trick your kids into eating this healthy veggie. Really! Do not tell them. Just call them monster muffins, frog cakes, or Leprechaun buns and enjoy watching the kiddos gobble them up. 2 cups self rising flour. 1/4 cup canola or vegstable oil. 1- 6 oz bag fresh spinach. Add liquid mixture into dry mixture and mix well. Pour into lined or greased muffin pan. They got the thumbs up from my husband and I wish my daughter was here to try them. It was hard not to eat more than one. 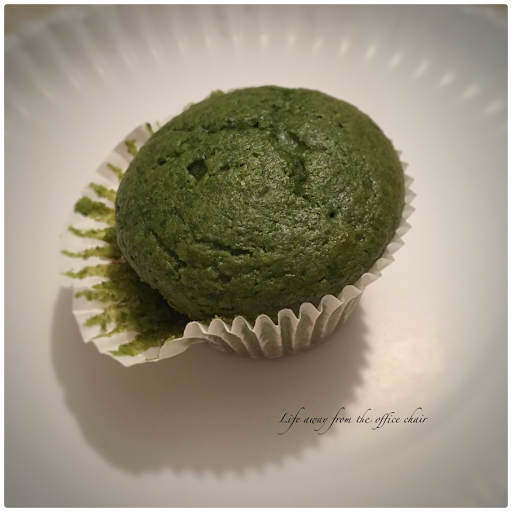 I will be having a green muffin for breakfast with a hot cup of coffee. Yum. Wow I never had a spinach muffin before. Thanks for sharing this Lisa at C&C with J&J. Wow, Lisa, these sound amazing.....except that I'm allergic to bananas! I wonder if I could substitute applesauce....hmmmm. They are pretty, and yep I will bet they are healthy. Hey, look what spinach did for Popeye! The only house I did not like that I built was a custom house for a friend and he painted it (not a pretty) GREEN! ;-) I owned a greed car once, didn't like it. Never heard of spinach muffins before. What is not to love? Great color and I love spinach and bananas. Will give them a go. 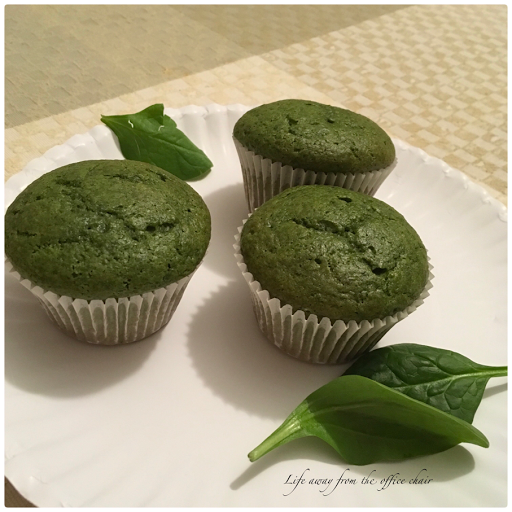 Spinach banana muffins!? Okay, I'll give them a try. But only for you.